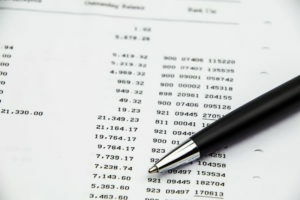 Bank statement loans offer borrowers with unique financial structures the opportunity to qualify for a loan using bank statements instead of tax returns to document income streams. For example, if you are self-employed and maximize tax deductions to minimize income tax expenses, the standard tax-based qualifying guidelines set by Fannie Mae and Freddie Mac may not be able to support sufficient income to qualify for the loan amount you need. However, the cash flow running through your bank account may tell a better story about your income. Many lenders have come to understand that lack of taxable income does not equal insufficient income to qualify for a home loan and now offer a different method to calculate qualifying income. These loan programs offer a borrower the benefit of being able to qualify for a home loan with as little as 12 months bank statements. I have several of these loan programs to choose from depending on your individual requirements – for more details give me a call at (800) 680-7875 or send me an email message to Linda@LindaOnLending.com.